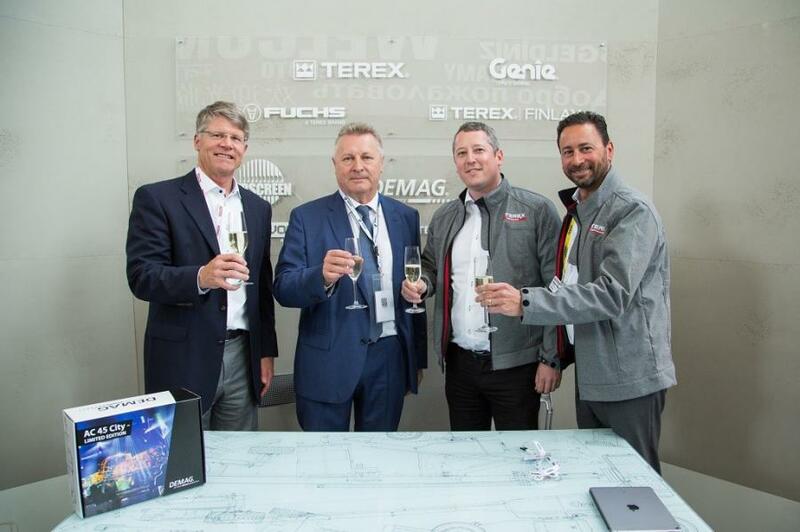 Terex distributor and family-owned company, Abrams Krane GmbH, headquartered in Warendorf, Germany, took advantage of bauma to make a significant investment in its self-erecting tower crane line. Terex bauma stand FM.711 had non-stop activity during the first days of the largest construction exposition in the world. One segment of the exhibit drawing much attention from attendees was the display of Terex mobile and tower crane equipment and Demag all terrain and crawler cranes. From family-based local companies to national and international lifting giants, representatives liked what they saw in Demag mobile cranes. 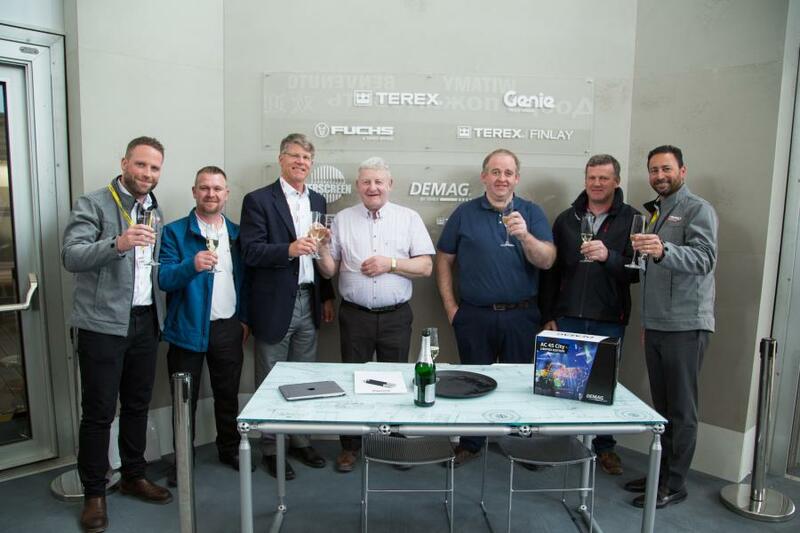 Kavanagh Crane Hire Ltd. of Wexford, Ireland, purchased a Demag AC 45 City crane, representing the first such model to be brought to the country. Traisen, Germany-based, Trost GmbH, also purchased a 45-t (50-USt) AC 45 City to supplement its crane fleet. Representatives of Modern Crane Service from Telangana, India, opted for the larger, 250-t (300 USt) class Demag AC 250-5 all terrain crane for the lifting company's fleet. They referenced advantages offered by the IC-1 Plus control system, long boom length and strong safety features as reasons for purchasing the crane. 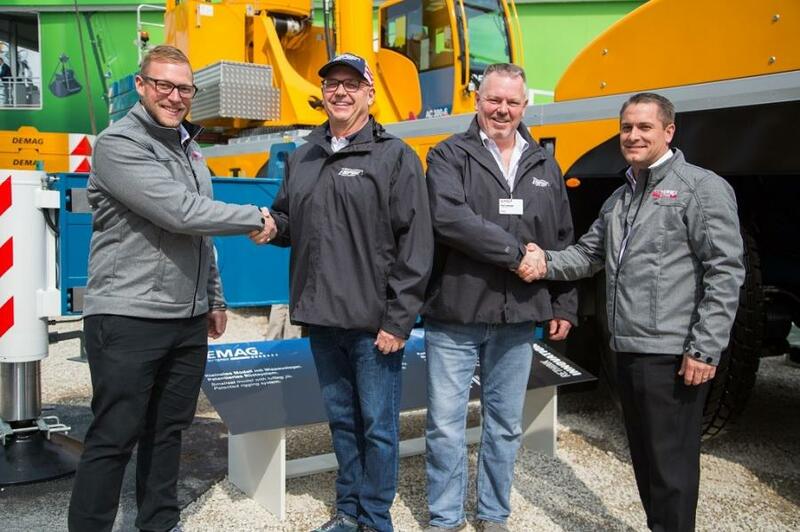 Several lifting companies took the opportunity at bauma to expand their fleets by placing multiple Demag mobile crane orders. North America's CraneWorks signed papers to purchase two Demag cranes, one AC 60-3 and one AC 100-4L, which supplemented a recent purchase of North America's first AC 45 City crane. Distributing Terex Crane equipment to the New England region, Empire Crane Company, N. Syracuse, N.Y., placed an order that included three Demag AC 60-3 models as well as an AC 100-4L, AC 250-5 and AC 300-6. 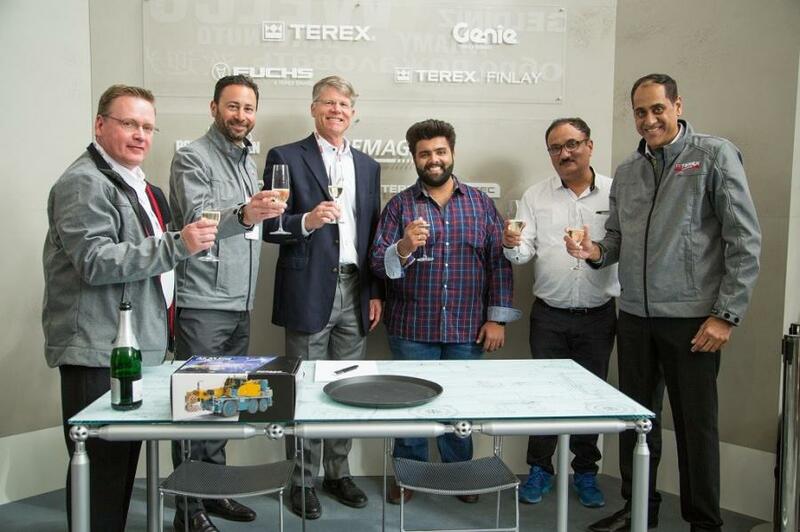 Highlighting the day's Demag sales activity, Arthur Watt, CEO of Ejar Cranes & Equipment LLC, Dubai, UAE, met with Terex Cranes representatives to close on a major investment in the company's lifting fleet. The company acquired 10, 100-t (120-USt) capacity class Demag AC 100-4L cranes and three, 130-t (140-USt) class AC 130-5 models. "Ejar has emerged as a leading Gulf region company and, as evidenced by this substantial order, is pursuing an aggressive investment plan in its fleet," said Joerg Mueller, senior sales manager, Terex Cranes. Sales for Terex-branded cranes were also strong during bauma's first days. 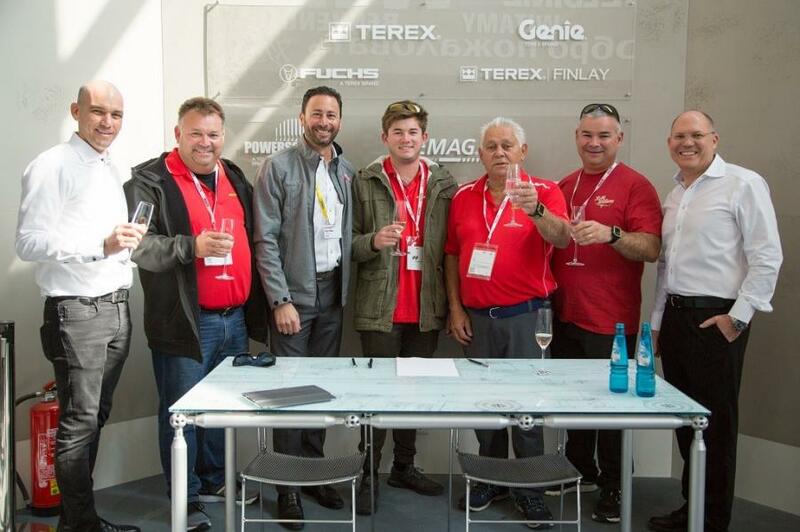 Borger Crane Hire and Rigging Service of Sidney, Australia, purchased the recently introduced Terex AT 40 Pick & Carry crane. This will be the first such 40-t (44-USt) capacity crane operating in New South Wales that quickly moves from job to job at speeds reaching 75 km/hr (46.6 mph). 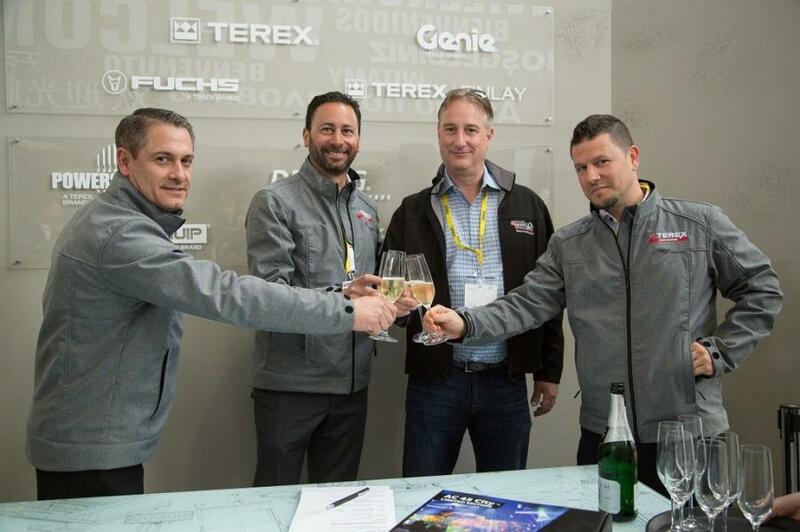 Terex distributor and family-owned company, Abrams Krane GmbH, headquartered in Warendorf, Germany, took advantage of bauma to make a significant investment in its self-erecting tower crane line. 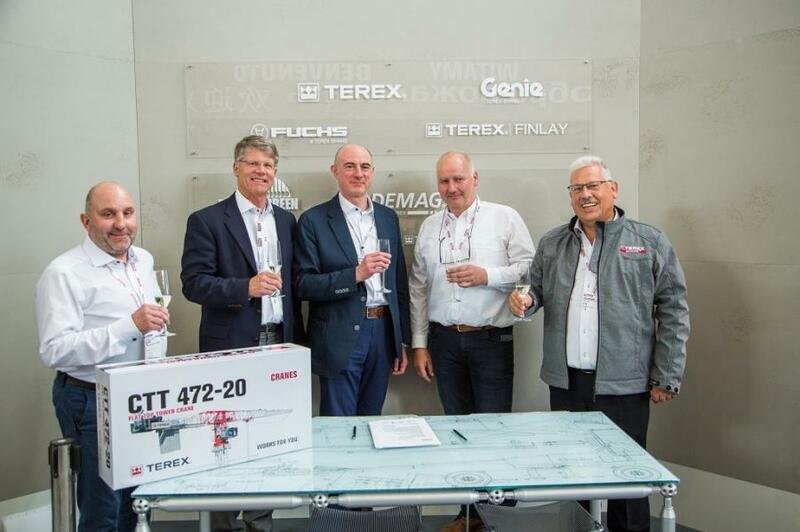 Sergej Abrams, CEO, signed an order for three Terex CBR 32 Plus cranes, offering a 32-m (105.0-ft) maximum jib length and 4-t (4.4-USt) maximum capacity. 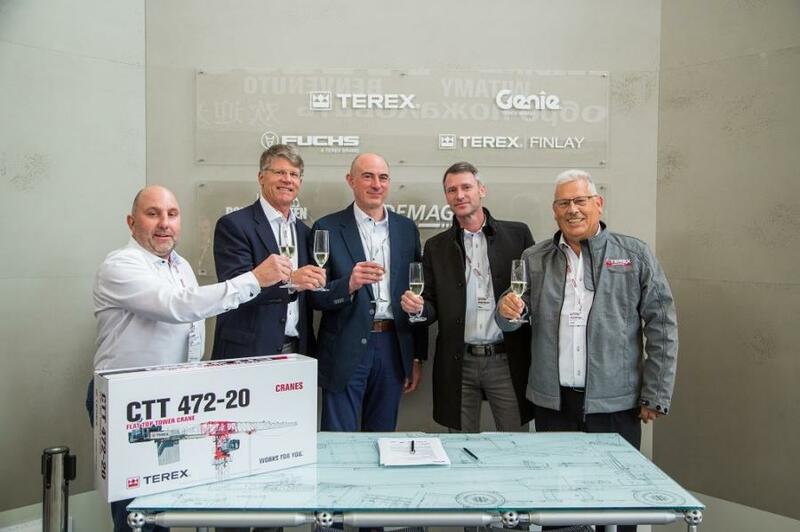 The company also purchased three Terex CBR 40H cranes, which also deliver a 4-t (4.4-USt) capacity with a longer, 40-m (131.2-ft) maximum jib length. 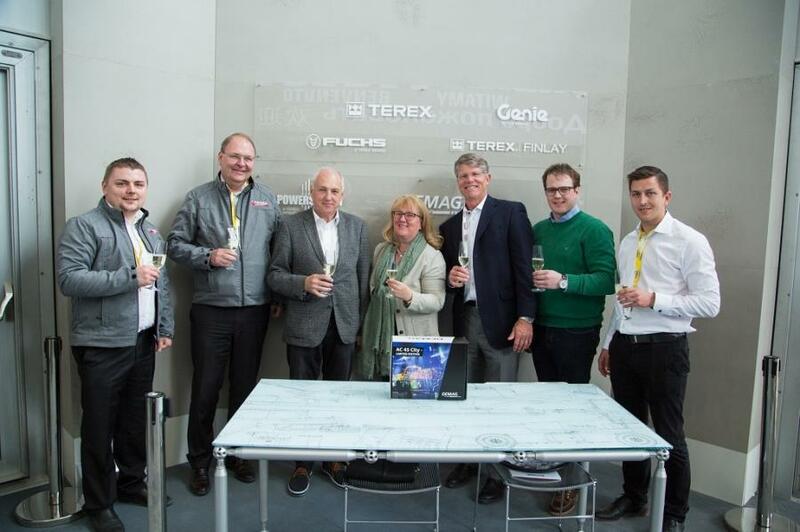 Managing Director Jürgen Schröder of Germany-based, Proschwitz & Schröder Baumaschinen GmbH was impressed by the features found on the new Terex CTT 202-10 flat top tower crane, which made its market debut at bauma 2019. Extremely versatile, the new Terex crane model offers three chassis options and nine different jib configurations, ranging from 25 to 65 m (82 to 213.3 ft). Proschwitz & Schröder was among the first companies to add the CTT 202-10 to its fleet.